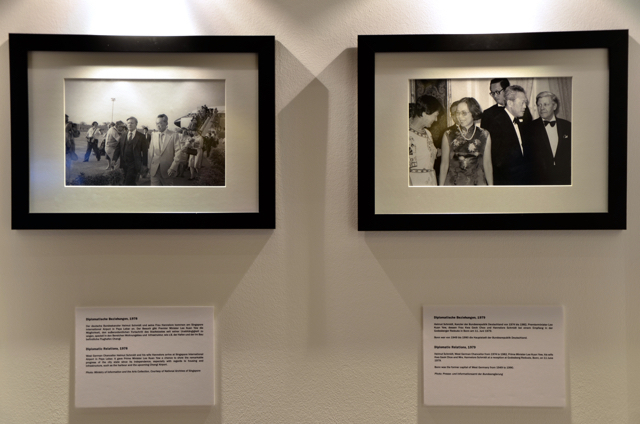 The German Embassy & the German Association celebrated 50 Years of German-Singaporean Diplomatic Relations this year and pulled out some rare, 40-50 years old, photographs of PM Lee Kuan Yew and his wife. 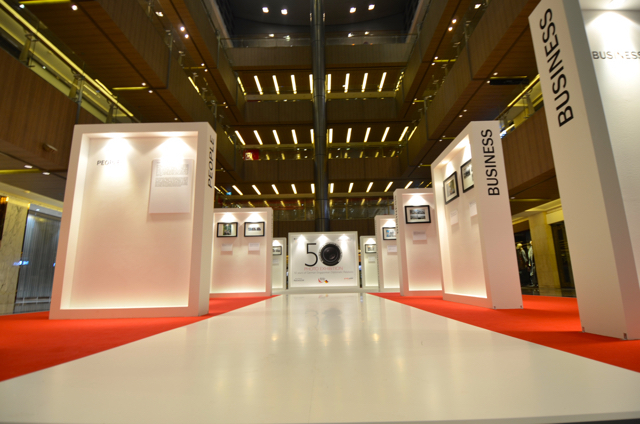 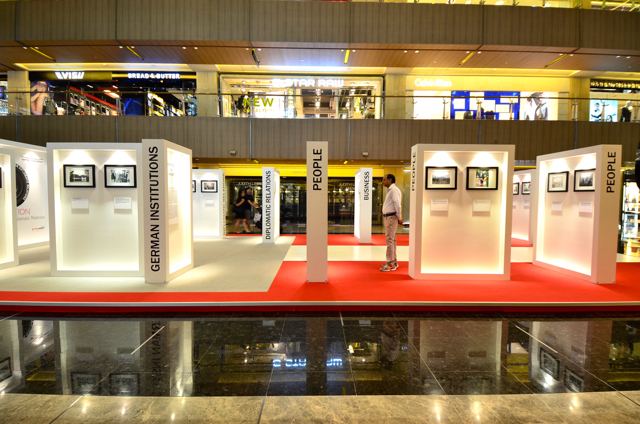 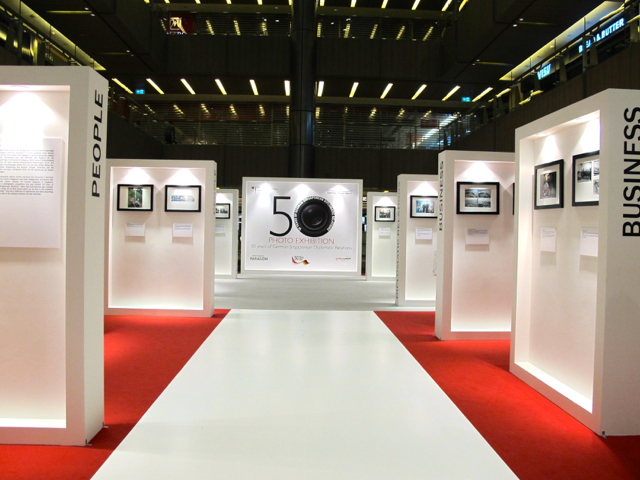 The German Embassy planned to showcase these photographs in a traveling photo exhibition, starting at luxury Paragon Mall, moving to Toa Payoh Library and finally to the German Centre, where the photographs will be displayed long-term. 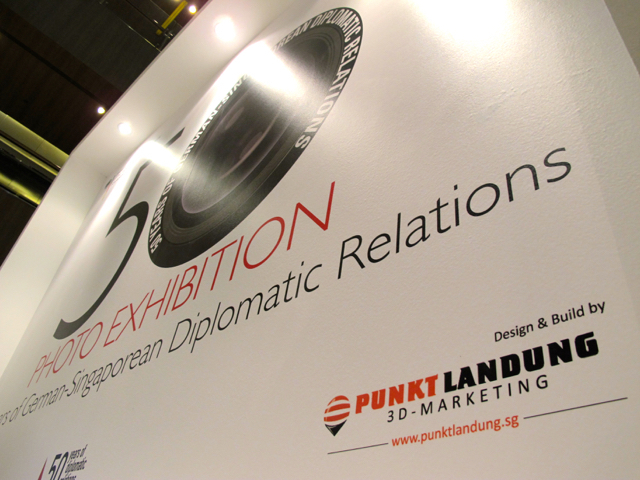 We aimed to design and build something extra-ordinary yet still exclusive for the German Embassy. 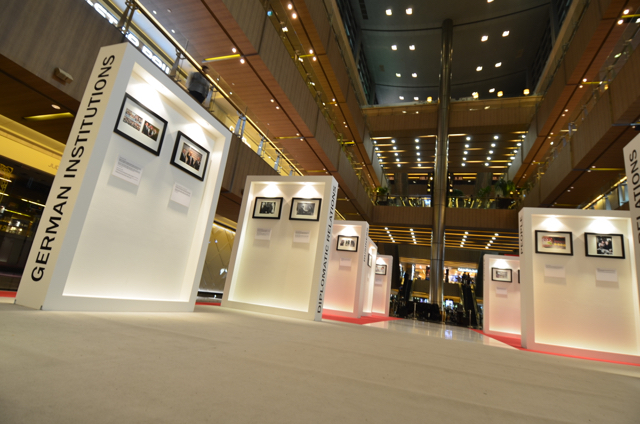 An art gallery which is different from the usual photo exhibitions around. 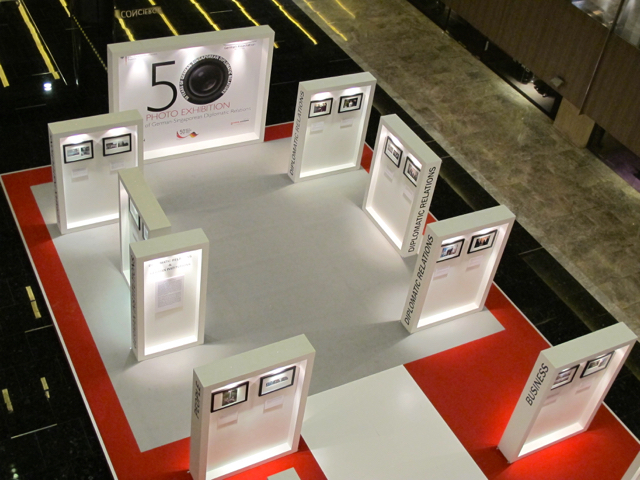 We designed elegant panels with white framing and seamless implemented lighting. 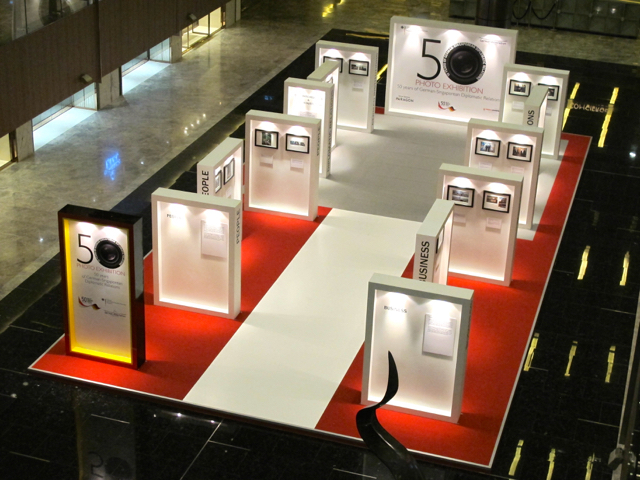 While the welcome panel was designed in German national colors, the flooring represented the national colors of Singapore. 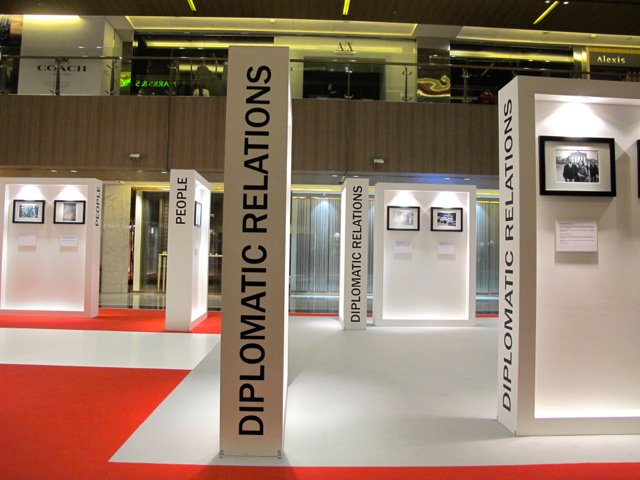 The welcome panel was fully laminated with glossy appearance to fit the luxury environment of exclusive Paragon Mall, while the photo panels were kept simple to not take away the focus from the rare photographs. 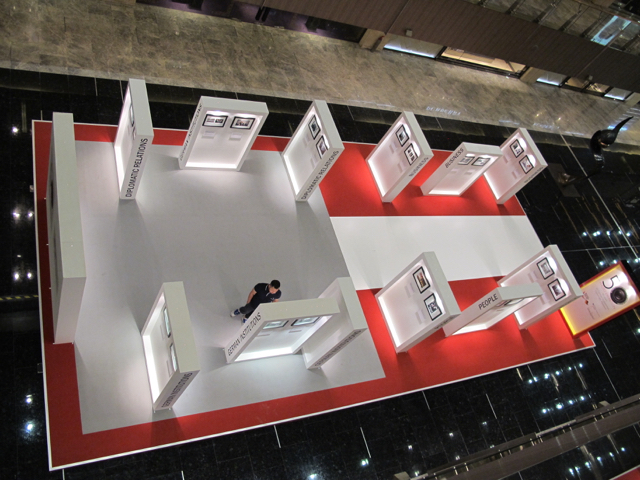 A red carpet platform flooring and a walkway with white lamination makes the visitor feel like entering an exclusive area within an open gallery concept. 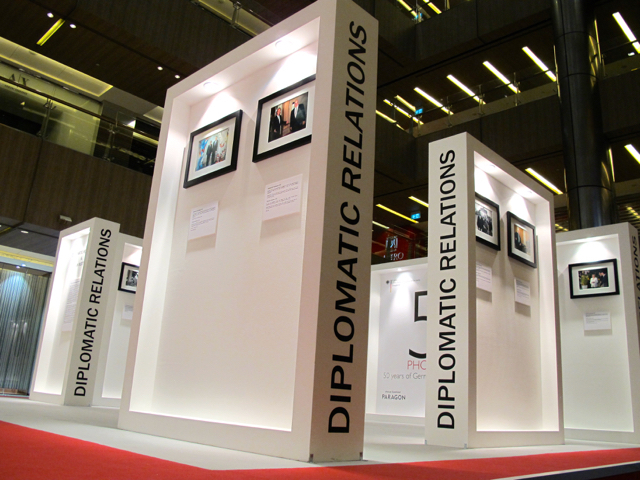 Within the grey carpet area the most important part of the exhibition - the diplomatic relations between Germany and Singapore - was highlighted. 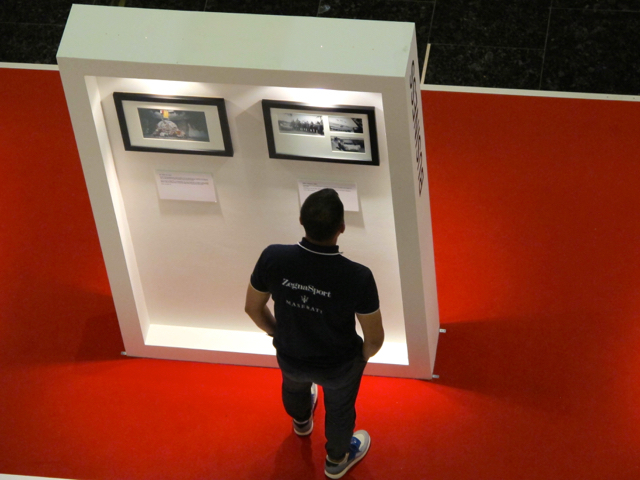 The Photo Exhibition kicked of with a celebration during the opening reception at Paragon Mall Atrium. 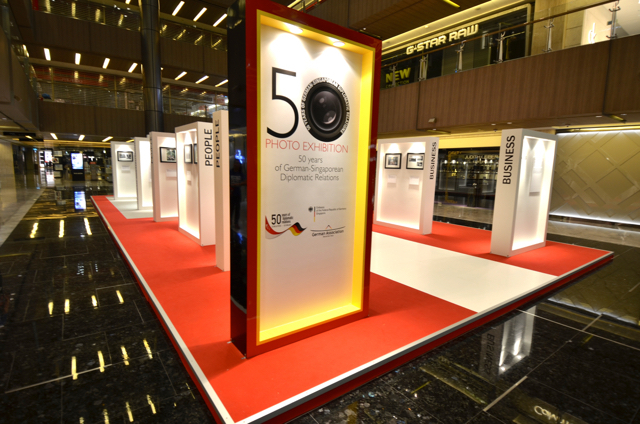 Ambassadors and politicians as well as leaders of the largest German companies in Singapore were among the guests to cheer on good relations between Germany and Singapore for 50 years. 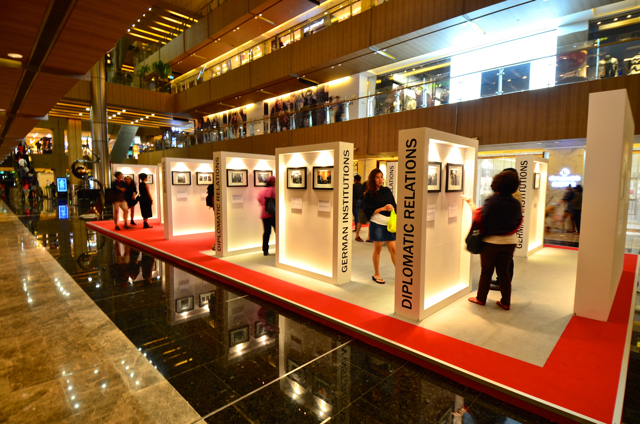 Highlights of this evening were the speech of Guest of Honor, Mr. Peter Tan (Ministry of Foreign Affairs) and the performance of famous German jazz singer Meta Hüpner & Band. 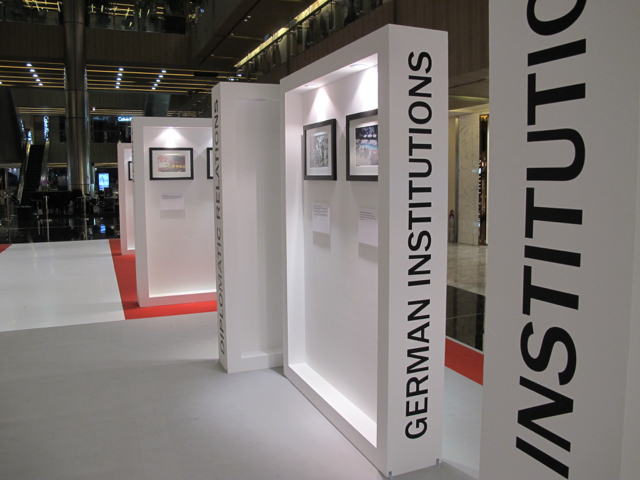 The Photo Exhibition can be seen at the German Center until 31 December 2015 and from January onwards at the German Association. 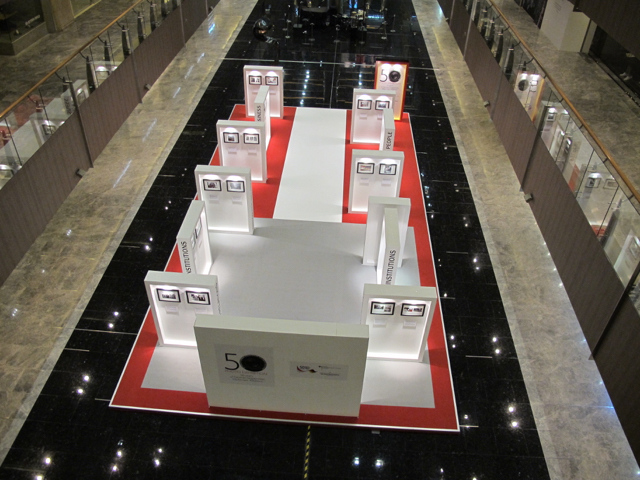 One of the best event staff & talent providers in Singapore. 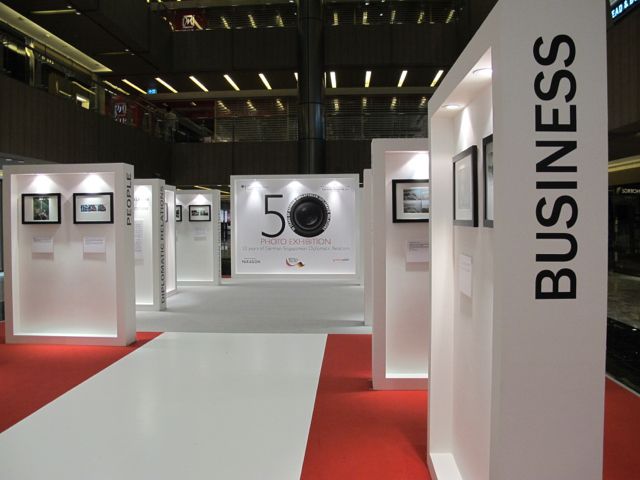 Dennis´ way to train and manage the staff is excellent and very delicate as most Japanese corporations would prefer.